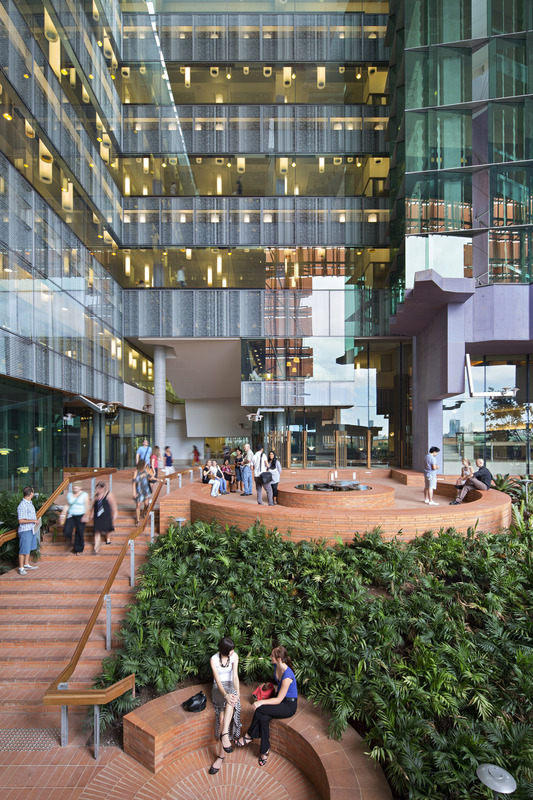 The landscape component of Translational Research Institute comprised two main areas – the planting of the Outdoor Room and way-finding around the site including the construction of pathways through the existing and new landscape. 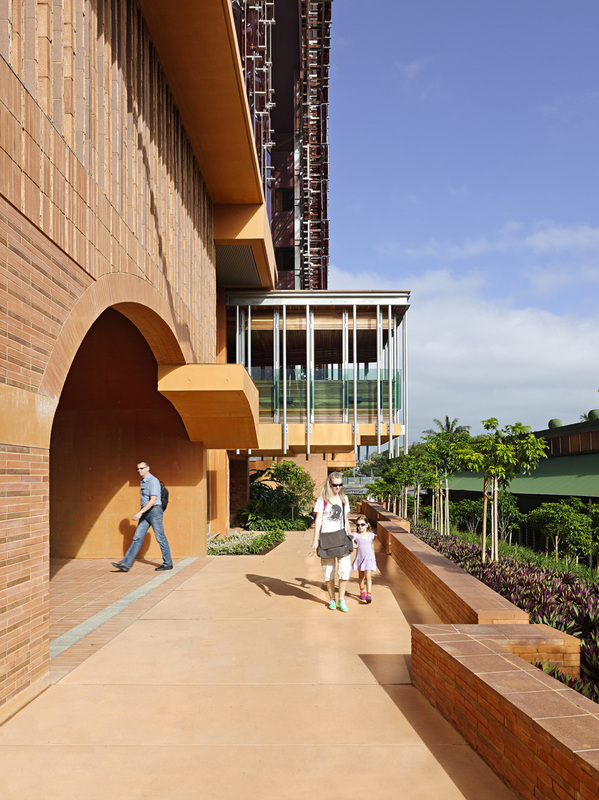 The landscape design was a collaborative effort by architects and landscape architects, with documentation for the landscape by the architect and documentation for the softscape by the landscape architect. Specified protection of existing trees contributed to the revolution and survival of two large flowering Poinciana trees on the Diamantina Road frontage. 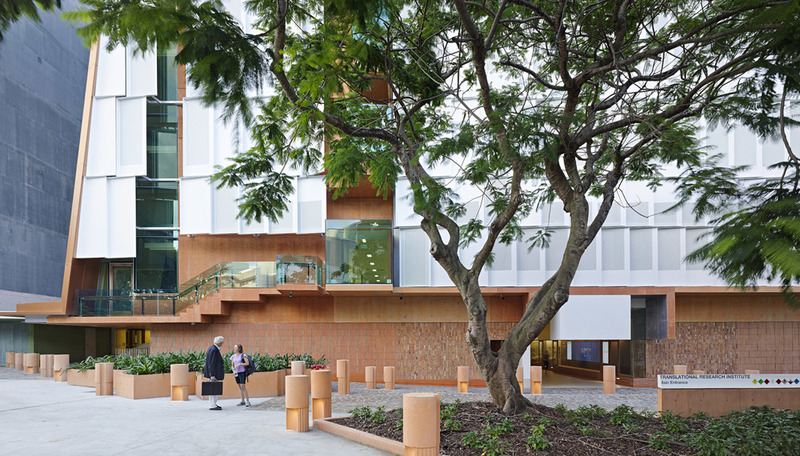 These trees formed an important part of the existing streetscape and their survival now provides a living frame to the TRI main entry and a future tree lined boulevard within the hospital campus. Other important site vegetation, including large specimens of Eucalyptus microcorys were also provided with special protection to survive adverse construction conditions.